in our last episode of “this is how we count”, i talked about the measuring stick. let’s now take a look at the film ruler. this one here measures two feet of both 16mm and 35mm film. you’ll usually find these fastened to an edit bench or flatbed. because we like to count, we have lots of tools to track numbers. hence, film rulers! 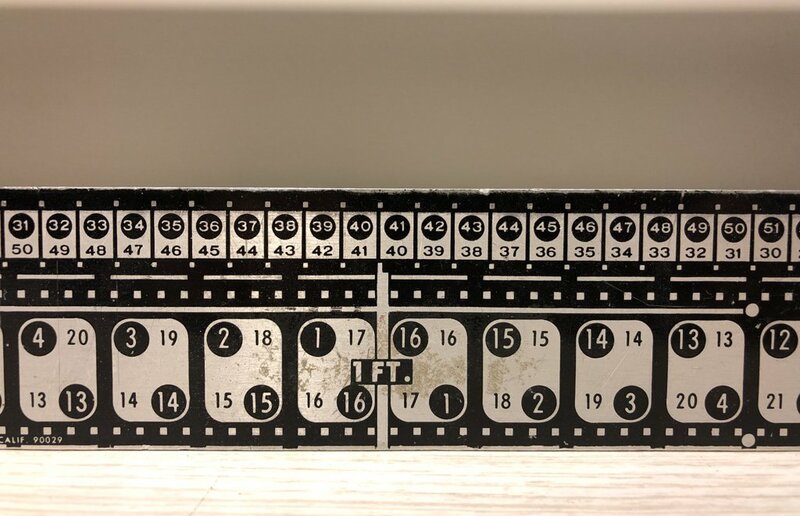 the nice thing about this ruler is that it’s to scale, so you can just line up the frames from a piece of film and instantly eyeball how many frames ya got. another added bonus is that you can count from left to right or right to left. this humble strip of metal? it rules!